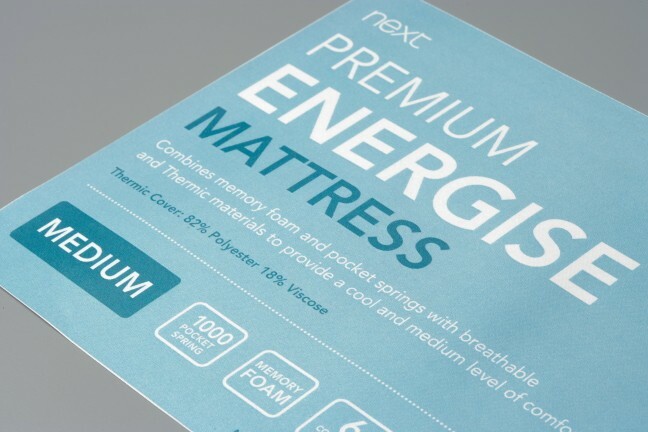 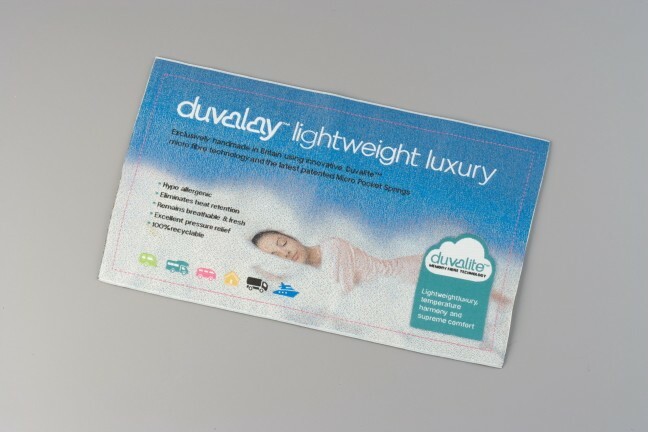 A quality woven or printed mattress label will give you and your customers peace of mind. 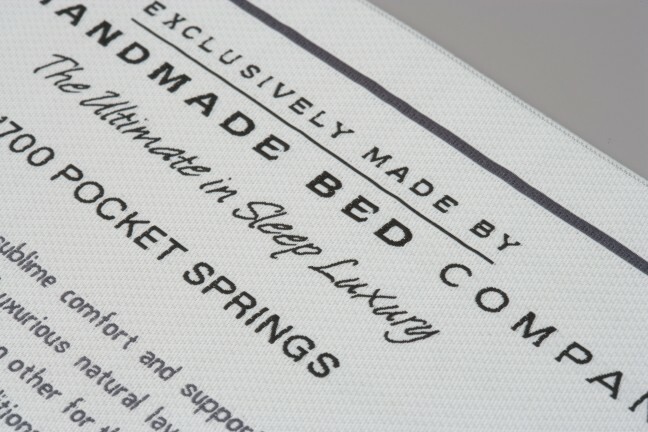 Your bed and mattress label communicates the content and care instructions of your product, as well as putting your brand pride of place. 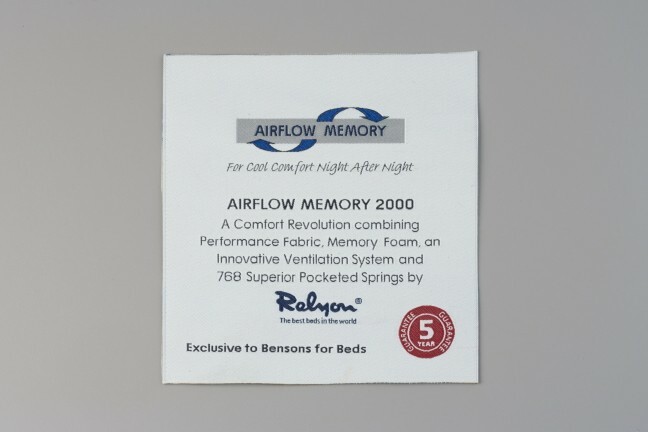 Designed speciﬁcally for bed and mattress manufacturers, this label is created using our exclusive polyester-satin base material. 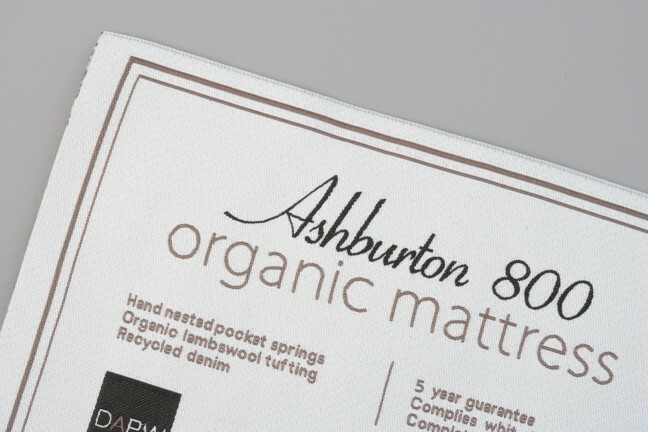 Like nothing else on the market, this high quality, durable fabric allows us to produce long-lasting, premium labels with exceptional clarity and vibrant colours. 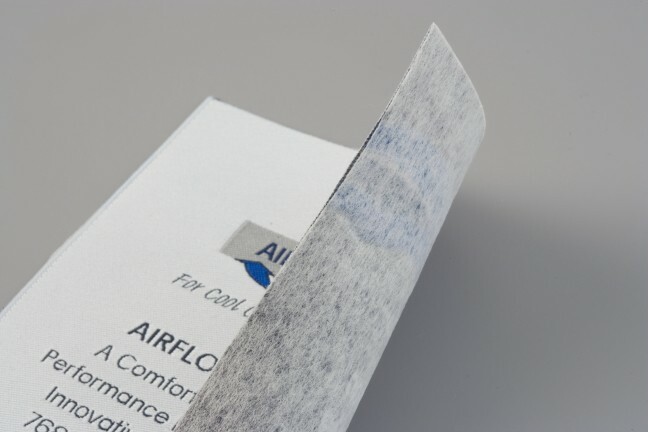 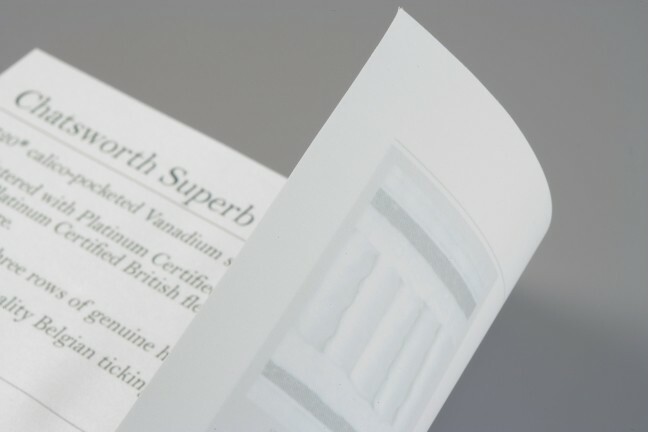 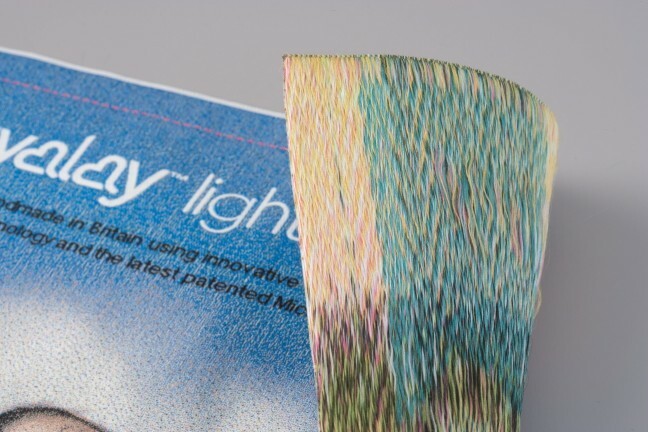 We are able to print a one-oﬀ piece or 1000s of labels, depending on your requirements. 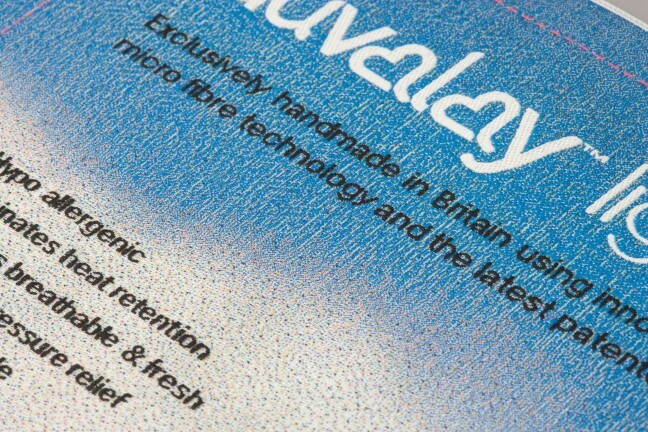 What’s more, we can turn your order around in three to four days. 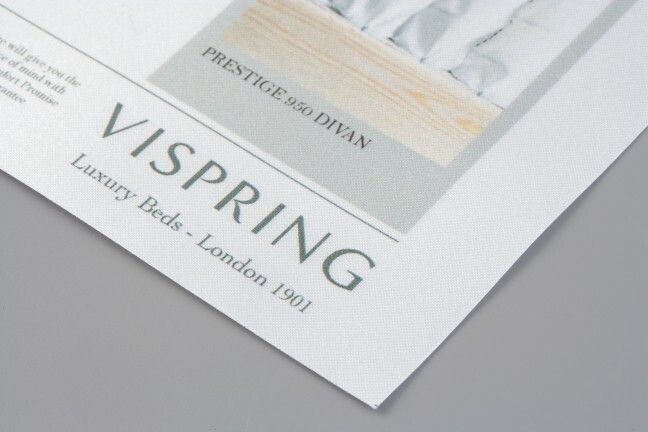 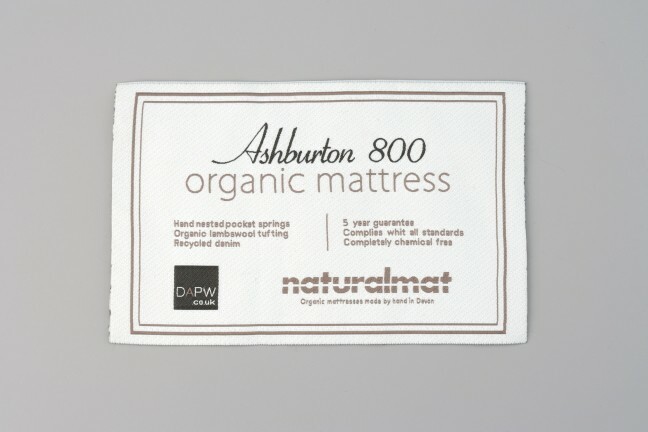 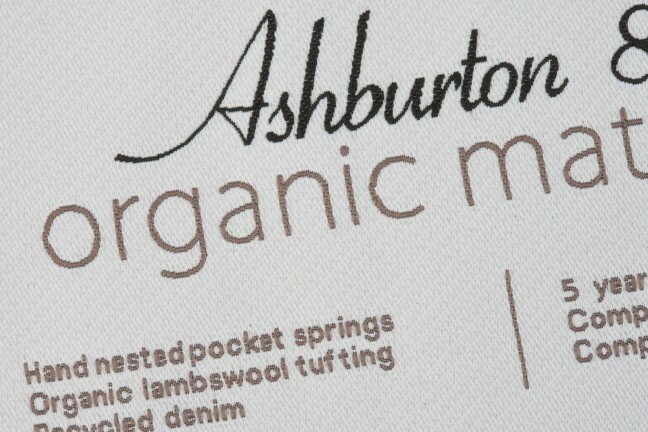 For luxury products that require a premium label, our quality woven mattress labels are the answer. 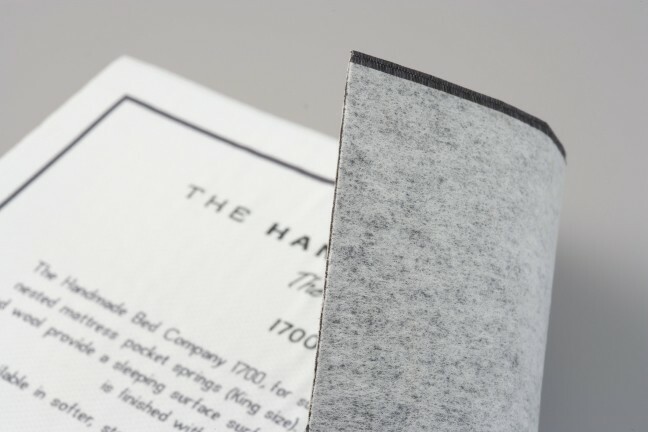 We have more than 400 yarn colours that can be used to bring out the originality of your brand, producing unrivalled results. 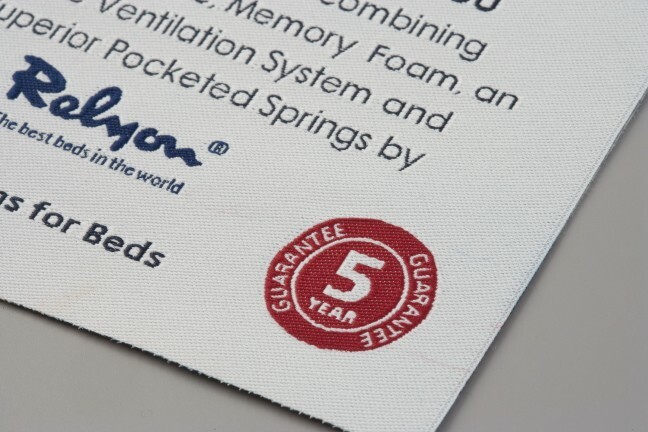 Safety information must be clear and legible. 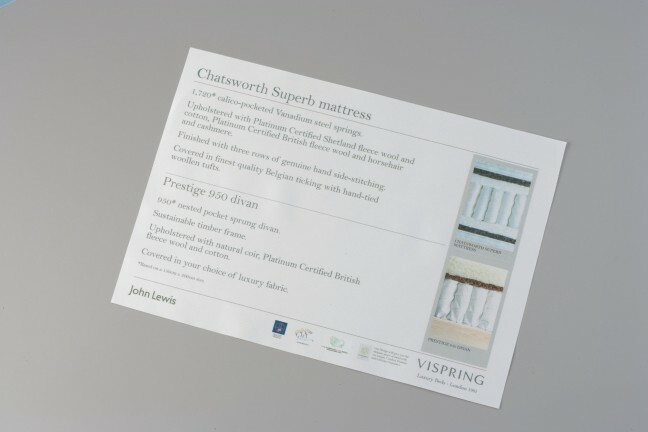 Our printed mattress labels are the ideal platform for displaying that crucial information with supreme clarity.